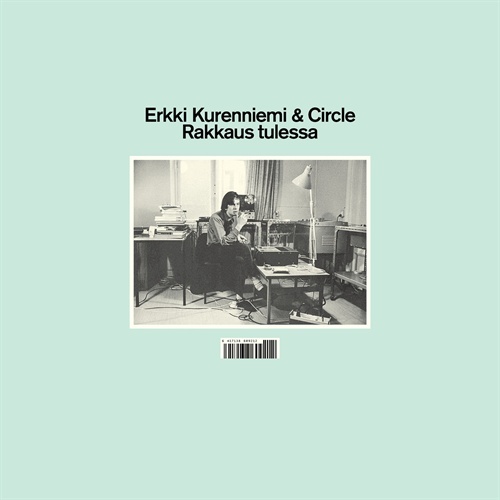 Erkki Krurenniemi and Circle - "Rakkaus Tulessa"
This is a very special and far out record. I think if you are Finnish you will get a lot more out of this. If you are not, then it is some sort of strange acid dream where you are floating around in the Finnish forest on mushrooms and seeing small people speaking strange tongues you don't understand but somehow they are telling you something deep. You try to absorb it, take it in, but it just twists and deranges your mind further. You hop into the canoe and paddle as fast as you can downstream, hoping the voices will stop haunting you but they won't go away. Who is this guy and what is he talking out? Is he drunk or on drugs, what is happening to my mind???? Then the record ends. Far out music for trippers. that is all I can say.